Is is hot where you are? It’s always hot in Kentucky during August so I love finding delicious ways to cool off and this is one of them. One of my co-workers passed this recipe on to me so I am not sure of it’s origins, but I have seen it on Pinterest and other websites, but that is not where I got it. 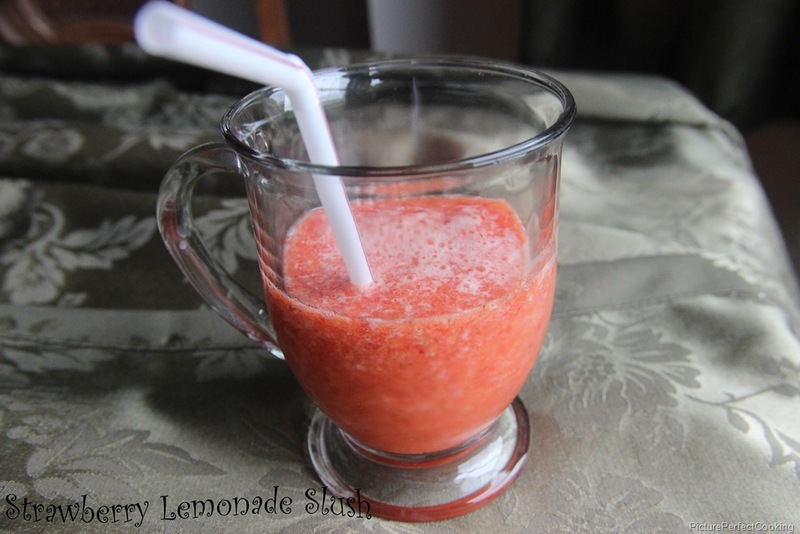 This is a quick and easy frozen treat that I think anyone would love! 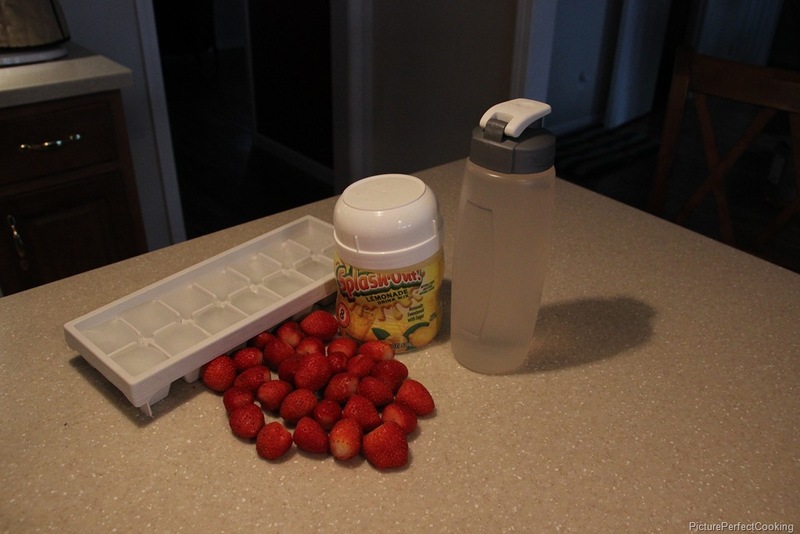 In a blender, put the strawberries, ice and water. Measure out the smallest amount of lemonade mix that the lid has marked and add it to the blender as well. Pulse until all of the ice is crushed and you have a thick but straw-friendly drink! This version has a pretty powerful lemonade kick so you could easily add more ice and water to tone it down a little and you would get more drinks per powder portion. Thanks for stopping by and commenting! Please come back again. That sounds delicious! My blender broke when I tried to make something with ice cubes, but I would totally try this if I had a blender! It is really good! Thanks for stopping by and commenting. Please visit again! This looks really great! Thanks for sharing at Must Try Monday. Oh my how I love a great Slushie and this one looks like it could be a favorite. Hope you have a great holiday weekend and thank you so much for sharing with Full Plate Thursday. How much powdered lemon aid? I just used the lines inside the powder container lid. There were two marks on mine and I used the smallest amount marked. It was probably about 1/8 cup and that makes it very lemony. If you don’t want yours quite as strong, just use less because you can always add more to it.